This weekend we have four open house showings, one on Saturday in Orange Park and three on Sunday in Mandarin and in Avondale. Please come by and tour these beautiful homes this weekend. We have wonderful agents available to assist you and answer any questions you may have. 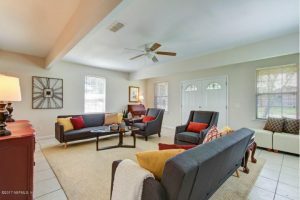 You found the perfect home for entertaining and a family to enjoy. The kitchen overlooks the extra large vaulted family room with 12 foot ceilings, enough room for a pool table in addition to a sectional sofa. The home offers 5 bedrooms, living room, dining, family room and ‘fireplace’ room. The pictures will tell the story of this beautiful, well maintained home. The home has a 2015 hvac system, 11 year old roof and a transferable home warranty. Your new home is within walking distance to the best middle school and elementary in Clay county. 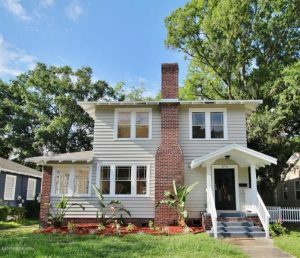 Put this on your short list as the best family home in Orange Park. Contact Karen Lisle for more information. Bryne Duren invites you to tour this fully renovated gem worthy of its own HGTV show! This home offers an open concept floor plan that is ideal for entertaining family and friends. The kitchen boasts 42inch double shaker cabinets with soft close doors and drawers, magnificent granite countertops, S/S appliances with S/S farmhouse sink and white herringbone backsplash to tie it all together. There is hand scraped dark laminate wood flooring in the kitchen and mudroom then tile throughout the rest of the home. 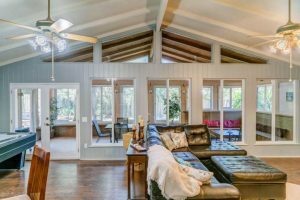 A large master bedroom with vaulted ceilings sits at the back of the home with a sliding barn door that reveals a spa like master bathroom complete with a glass top double vanity and vessel sinks. Snacks, drinks and a beautiful property will be available for all to enjoy. Come tour this San Jose home presented by Pam Winterstein close to San Jose Country Club, Jewish Community Center, and the Bolles School. 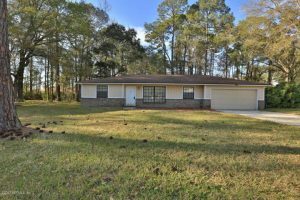 4 bedrooms, 2 Baths, beautiful wood floors & two large living areas which could provide great space for entertaining. Large corner lot, wood deck, fenced rear and more. Also close to Camp Tomahawk Park and Goodby’s Creek. Price just reduced. Enjoy some Drinks and snacks while you tour this Historic Avondale property with Sherri Horne. Settle down by the fireplace with a good book in this historic cottage. Crown molding and original hardwood floors frame the downstairs in classic chic elegance. Watch refreshing natural light dance through the Craftsman windows as you serve breakfast in the formal dining room off of the updated kitchen. Stainless steel appliances and modern tile backsplash make cooking a delight! Upstairs, all three bedrooms have neutral carpet and fresh paint. Both the full and half bath have been brought up to date and complement the finishes in the kitchen creating a timeless flow through the home. The cottage on Collier is located in the sweet spot to easily enjoy both culinary & art rich Riverside as well as blooming Murray Hill!